Love came down at Christmas. 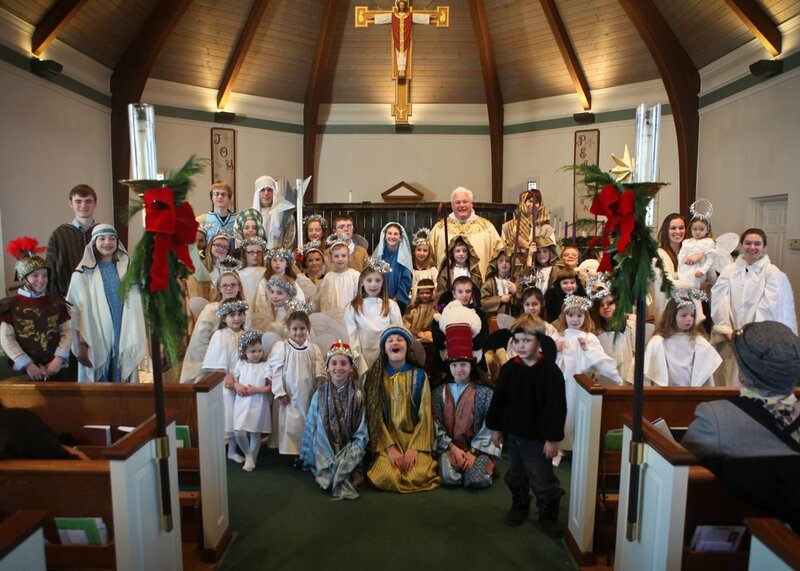 Join us to celebrate this most wonderful time of year at St. Francis In-The-Fields Episcopal Church. We have events and special worship services throughout the months of December and into January. All are invited to participate and attend as we all celebrate the gifts of joy and wonder in all God’s works. A St. Francis holiday tradition and delight for the whole family, the annual Christmas concert is presented by the Indiana Brass Quintet. “YULE” not want to miss it! The concert is free and open to the public, though donations will be cheerfully accepted. In joy and sorrow we journey together. The holiday season can be a difficult time as much as they can bring joy. If you are dealing with the death of a loved one, facing life after divorce or separation, coping with the loss of a job, living with your own health issues, or any other dis-ease, this quiet and contemplative service gives space for us all to come together as a community and be together in our grief. This candlelit service will use Taizé chant, and offer silence and brief reflections. Join us following the 10:00am Holy Eucharist for the greening of the church. After we are all decorated for the upcoming Christmas celebration we’ll have a chili cook-off! Bring your winning recipe or just an appetite for fun. All are welcome to join - cousins, nieces, nephews, friends or anyone else who might be visiting St. Francis families for Christmas. There is a short rehearsal at 1:00pm. If you or your child would like to participate please contact the Church Office at 317-873-4377 or e-mail info@stfranciszville.org. On Christmas night all Christians sing! Cookies and punch help make the season bright as we gather together before the 8:00 Holy Eucharist to carol and enjoy fellowship. Join us for a festive worship service that celebrates the arrival of Christmas. All are invited to join in worship as we come to adore our newborn King. Celebrate the Nativity of Our Lord Jesus Christ with this cozy Christmas day worship service. At St. Francis we believe that service to others is an important value at all times and something to celebrate in full at Christmas as well. We have several different Service Projects throughout December and invite you to participate. If you have any questions or want to get involved please contact our Church Office weekdays from 9:00 am to 3:00 pm at 317-873-4377. Our Angel Tree supports families from the Caring Center in Lebanon and the Dayspring Center in Indianapolis. Take an ornament (or several!) off the tree in our lobby, purchase the gift, and return it to the box by the tree by Sunday, December 10th. Our Christmas Bags program fills over 450 gift bags full of school supplies, toys, hygiene and other items for the students of the Hattie B. Stokes Elementary School. Donate nonperishable food items, household items, or clothing in the bins in our lobby. All food goes to the Caring Center in Lebanon or to the Zionsville Food Pantry and is delivered weekly by parishioners. Bring a canned good or other nonperishable food or hygiene item to our Blessing Box. Located between the St. Francis parking lot and the Boys and Girls Club, this self-serve food pantry serves many different people in our community. Give what you can, take what you need!